Having the opportunity to experience such diverse parts of a country in one vacation makes Olivia’s All-lesbian South Africa Adventure; a trip of a lifetime. Welcome to Cape Town. Sheltered beneath the familiar shape of Table Mountain, Cape Town, known to be gay and lesbian friendly, is the birthplace of modern South Africa as well as a historic port with a vital role in overseas trade between Europe and the East. Perhaps the most picturesque city in all of Africa, Cape Town presides over a coastline of stunning grandeur, mountains rising above the seashore, and romantic, outlying vineyards whose proprietors have been practicing the art of winemaking since the 18th century. Cape Town is home to the best of everything—museums, restaurants, hotels, and natural beauty. The recent addition of a convention center, film studios, theaters, and a number of new business establishments are evidence of the tremendous expansion the city has undergone in the last few years. And thankfully, such progress hasn’t tarnished Cape Town’s old-world appeal. It has the aura of a place where adventures begin. Your complimentary Olivia Safari vest will be waiting for you in your room. This evening before your Welcome Dinner at the hotel, you will have the opportunity to learn about cheetahs before heading out on safari! Cheetah Outreach is an education and community-based program created to raise awareness of the plight of the cheetah and to campaign for its survival. A ranger will bring one of these beautiful animals to the hotel. 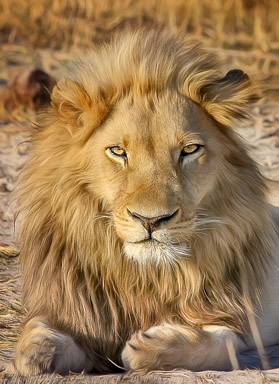 You will learn, visit and can take photographs with one of these beautiful animals. Afterwards, you will visit Table Mountain, a highlight of any visit to Cape Town. Ascend to the top of the mountain, weather permitting, by the state-of-the-art cable car and marvel at the breath-taking views over the city and its beaches. On a clear day it is even possible to see Robben Island where Nelson Mandela was imprisoned. Dinner is in the city is included. Overnight at the Table Bay Hotel. After breakfast, you will be off on tour to Cape Peninsula National Park. 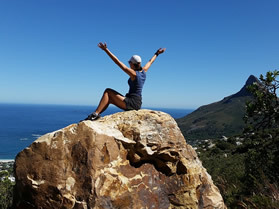 Cape Peninsula National Park is truly stunning—walking trails, low hills, and wide beaches—and a surprising variety of wildlife congregates here: eland, ostrich, bontebok and baboons, among others. Cape Point offers a viewing platform that looks out to False Bay and the Hottentots Holland Mountains. As you hear the stories of this fascinating place—ghosts from centuries of shipwrecks said to inhabit the shores—you marvel at its beauty as well. Next, you’ll enjoy lunch at a seaside restaurant, and then motor to nearby False Bay—home to almost 3,000 African penguins which congregate amidst the rounded rocks and fish-filled bay. It is one of the few sites where this fascinating bird (Spheniscus demersus) can be observed at close range, wandering freely in a protected natural environment. Dinner is on own. Overnight at the Table Bay Hotel. Today after breakfast, you will go off on one of the five included excursions below. Prior to this morning, you will be asked to choose one the five included excursions below that all include lunch. (Participation may be limited.) The afternoon is on your own to explore Cape Town. You’ll have the opportunity to visit Khayelitsha Township—an impoverished yet vibrant community where you’ll have an opportunity to see and contribute to the powerful work being done at Rosie’s Soup Kitchen. Rosie has been running the Kitchen for 19 years from a one-room shack. With the help of her volunteer team, she feeds hundreds of people on a daily basis—people who might not otherwise get a meal. Enjoy a morning at the beach for a surf lesson at one of the area’s famed beaches. All gear will be included. Visit the notorious prison where Nelson Mandela was held for so many years via public ferry. An aromatic oasis for the senses that was bequeathed to the nation by Cecil Rhodes on his death in 1902. Set on the eastern slopes of Table Mountain, the gardens are devoted almost exclusively to indigenous plants, and contain about 9,000 of southern Africa’s 22,000 exotic species. The newly constructed Centenary Tree Canopy Walkway is an innovative steel and timber bridge that winds into and through the trees and bursts out above the canopy, giving remarkable panoramic vistas of the surrounding mountains, Garden and Cape Flats. This morning you’ll board a vessel for the short voyage to Duiker Island. Commonly called Seal Island by locals, the island is situated at the base of the Sentinel Peak just outside the mouth of the bay. 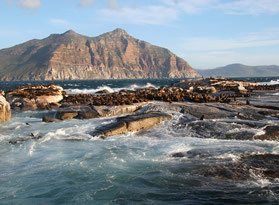 This is year-round home to a colony of approximately 6000 Cape Fur seals. Enjoy close-up views of these curious creatures from the boat as they revel in their natural habitat. You are surrounded by breath-taking mountain and sea views as you cruise back to Hout Bay. The afternoon is free to explore Cape Town on your own. Maybe get a little shopping in or visit the gay and lesbian district, De Waterkant! This evening say farewell to Cape Town at the famous Gold Restaurant. Start your evening with an interactive Djembe drumming session which will get you in tune with African rhythms and songs for the rest of the night. Thirty minutes of vibrant playing of the drums will ensure an energized start to your evening. As you enjoy the ambiance of the beautiful African décor, a set menu consisting of Cape Malay and African cuisine will be served by one of the beautifully adorned member of staff who will explain each dish and from which country the dish originates. Overnight at the Table Bay Hotel. This morning after breakfast, you’ll depart for the Cape Winelands. This is a scenically enchanting region of dramatic mountains and fertile valleys, planted with vines stretching across rolling fields. Here farmers enjoy perfect conditions and produce of the best wines in the world. It is a wonderful combination of small historic towns, beautiful scenery and wine estates producing delicious wines and brandies. You’ll start with a visit to Somerset West, beneath the Hottentot's Holland Mountains. Here you will sample wines from the Vergelegen Estate, before enjoying a walk through the Octagonal Garden and the historic Manor House. You’ll learn about this estate's history, which dates back over 300 years. Next, travel to another nearby and prestigious wine farm, Morgenster Estate, for a wine, olive, and olive oil tasting. Morgenster Estate extra virgin olive oil has been judged as amongst the best in the world! You’ll continue to wander through Stellenbosch, with a scenic drive through oak-lined drives and cobbled roads, for lunch at Tokara Restaurant. Chef Etienne Bonthuys produces innovative gourmet meals accompanied by the wonderful wines from the adjoining winery. You’ll have a final tasting, with stop at Anura Estate, for a wine sampling paired with award-winning, hand-crafted Forest Hill cheeses. Dinner is and overnight is the Le Franschhoek Hotel. After a leisurely breakfast, you’ll depart for Stellenbosch to explore the beautiful space filled with whitewashed homesteads, avenues of oaks, and rolling green hills. Cape Dutch architecture gives a sense of South Africa's Dutch colonial history, as do the Village Museum's period houses and gardens. Start your walking exploration of the old town and discover Stellenbosch's colorful history while sampling local flavors through locally-produced artisan food and drinks. You’ll enjoy indigenous tea, traditional snacks like biltong and droëwors, and fresh bread sticks from an artisan bakery. After this interesting ‘foodies walking’ tour you’ll have lunch in Stellenbosch. Before returning to the hotel enjoy one last wine tasting. Dinner is on own tonight. Overnight at the Le Franschhoek Hotel. Following breakfast this morning, transfer to the Cape Town Airport for your flight to Skukuza Airport, the gateway to the private games reserves adjacent to Kruger National Park. Upon arrival transfer to the lodge. Lunch will be served upon arrival to Sabi Sabi Bush Lodge. Sabi Sabi Bush Lodge pulses to the rhythm of Africa’s heartbeat. This is Bush Lodge, steeped in tradition, vibrant and warm, the Sabi Sabi of “Today”. With a history spanning over 35 years, the lodge has earned a reputation of a “luxury home in the bush”, excellence service and effortless personal attention. The conventional safari style showcases a vibrant and eclectic mix of furnishings and décor garnered from all corners of the African continent. Sabi Sabi is also home to a remarkable 350 species of birds. On a single summer’s day, one can probably see more bird species than it is likely to see in a lifetime in your home country. In fact, almost 5% of the world’s bird species have been recorded in this region of South Africa. After lunch and getting settled into your luxury room, you’ll go off on your first safari ride in into the private game reserve for your first opportunity to start getting your eye tuned for wildlife sightings! When you return to the serenity of the jungle lodge you will have some time to get acquainted with your remote and beautiful surrounding before dinner. Dinner and overnight at the Sabi Sabi Bush Lodge. Your next two full days on safari will revolve around spectacular game viewing drives in open Land Rovers. A typical day on safari starts with an early wake-up call, where you enjoy tea, coffee and snacks before setting off on the morning game drive with your ranger and tracker. You will then return to the lodge for breakfast, and the option of a guided walks in the reserve. The reserves support an astonishing variety of wildlife including the "Big Five"—lion, leopard, elephant, rhinoceros and Cape buffalo. Grazers such as buffalo, blue wildebeest, Burchell's zebra and warthog favor open areas, while impala are most common at the edge of bush clumps. 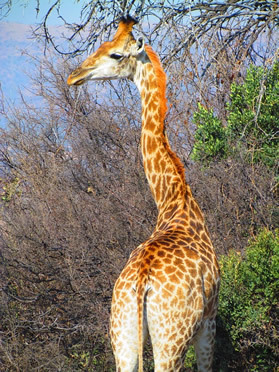 Other ungulates to watch out for are giraffe, hippo, bushbuck, grey duiker and kudu. 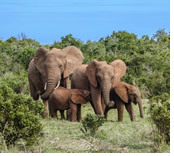 Experience remarkably close encounters with breeding herds of elephant and buffalo. See black and white rhino, giraffe and a host of antelope, along with the great cats and occasionally, wild dog. After lunch, you will have time to enjoy the tranquility of your surroundings. Later in the afternoon, depart on another game drive, keeping a keen eye out for the elusive and shy leopard or watching the exhilarating speed of the lion preying his dinner. Dinner and overnights are at the Sabi Sabi Bush Lodge. Under African Skies presents you with the opportunity to experience the truly vibrant nature of traditional African culture. Bright colors, handcrafted art and raw earthly fabrics all contribute to the textured and extravagant experience under the awe-inspiring African night sky. The outdoor boma, surrounded by ancient indigenous trees and unending bush, is the ideal setting and creates an authentic African ambience, from the creatively designed table cloths to the unique locally woven indigenous placemats. This will be a sensory experience as it is a delight for all the senses – an enchanting dinner that is perfectly accentuated by the lively sound of local Marimba players or the rhythmic movements of Shangaan dancers! Today, after breakfast, you will be transferred to the Sabi Sabi airstrip for your chartered flight to Johannesburg. Upon arrival in Johannesburg, you’ll enjoy lunch and a tour of Soweto, a formerly notorious township from the days of Apartheid. Here, you’ll learn all about the history of this area while visiting the former house of Archbishop Tutu and Nelson Mandela, the Hector Pieterson memorial, and Regina Mundi Church. You will be taken on a journey through learning about the bravery of the locals who struggled for freedom. You’ll then be taken to your hotel where you will check in and get refreshed before going off for your farewell dinner with all your new friends at Moyo Melrose Arch. Moyo Melrose Arch is a destination for a unique African dining experience. Inspired by the traditions and values of our ancestors, moyo is a celebration of, and commitment to, the beauty of Africa, and the industry of her people. What better way to end your wonderful trip in South Africa. Overnight at the Southern Sun O.R. Tambo Hotel. As most flights leave in the evening, you have a day room at the hotel to either relax before your flight home or you can explore Johannesburg by booking an optional tour through the hotel concierge. Based on your flight time, you will be transferred to the airport for you flight home. 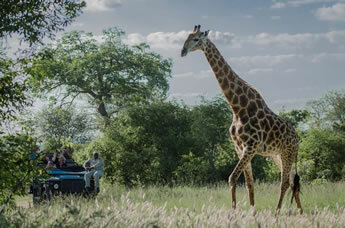 • Each vehicle is equipped with: ice chests with complementary beverages, safari library with wildlife books. • Olivia representative to accompany the group. The Table Bay Hotel is a 5-star luxury hotel situated at the V&A Waterfront in Cape Town. It boasts beautiful views of the working harbor, Table Mountain and the Atlantic Ocean. It features a pool and a spa. The Camelot Spa offers a number of spa treatments, holistic care, laser therapy and a gym. A complimentary shuttle service is available to transport guests within a 5 km radius of the hotel. Free WiFi is available in the hotel rooms. 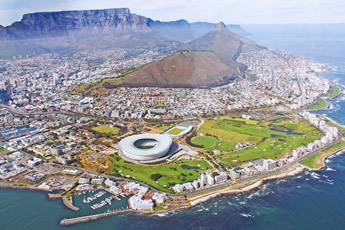 The Cape Town International Airport is a 30-minute drive from the property. Each air-conditioned room comes equipped with a minibar, flat-screen satellite TV and tea-and-coffee-making facilities. The private bathroom includes a bath and shower with free toiletries. Enjoy locally inspired and sourced gourmet meals at the Camissa brasserie. The Atlantic Grill serves daily breakfast and high tea is available in the afternoon. Set in the culinary capital of the Cape, Le Franschhoek Hotel & Spa lies beneath the towering Franschhoek Mountains with the famous Winelands a short car journey away. The picturesque vineyards are within easy distance, making this hotel the perfect base from which to taste the legendary Cape Wine Route. Visit the vineyards in the vicinity and indulge in the best that the area has to offer, whilst enjoying the tranquillity of this magnificent setting. Surrounded by some of the wine route's finest estates, you will have every excuse to explore the wonders of the Cape at your leisure. The elegant rooms and suites feature air conditioning, a flat-screen satellite TV and tea-and-coffee making facilities. The villas have kitchen facilities. Overlooking the garden, guests can enjoy a buffet breakfast at La Pavillion. Sauvage serves fine dining à la carte and offers an award-winning wine list. Le Verger is located within an orchard and serves bistro-style cuisine. Guests can unwind at Camelot Spa which offers a variety of massages and body treatments. For relaxations, the hotel also has an outdoor pool and tennis court. To maintain privacy and intimacy, the lodge has 25 suites in total including 2 and the with each suite featuring en-suite bathrooms and al-fresco, glass-fronted showers, with wonderful views of the bushveld. Bush Lodge has been sensitively designed to allow ample space to relax, unwind and savour the tranquility of the bush. The two swimming pools and large covered viewing decks overhanging the Msuthlu riverbed are an invitation to cool off in the filtered water or sit in comfort while spotting game at the well-utilised pan. An exquisitely furnished lounge, atrium and intimate bar area are perfect meeting places for friends old and new. As an extra indulgence, the at Bush Lodge offers the ultimate African Spa experience. Southern Sun offers luxury rooms with a contemporary design. It features an outdoor pool, a spa and wellness centre and a restaurant. OR Tambo International Airport is within 500 m and Gautrain Railway Station is a 5-minute walk away and 500 MB free WiFi is available to guests. A buffet breakfast is served daily in the dining room. The Bernoulli’s Restaurant offers a wide selection of Mediterranean-style dishes and a salad buffet. The spacious, air-conditioned rooms come with views of the pool or airport. They feature a satellite TV, a desk and tea-and-coffee making facilities. Each has a private bathroom with a hairdryer. There is a 24-hour front desk. Guests can sunbathe poolside and enjoy a drink from the bar, then relax with a massage or spa treatment. The sporty type can work out in the gym. There is a shop within the hotel. The tour desk can help to organize a day trip or car rental. East Rand Mall and Serengeti Golf Course are within 10 km. Southern Sun OR Tambo International Airport offers a complimentary airport shuttle. This trip does require a level of mobility, as many of the tours involve a degree of walking and steps. Guests must be able to walk uphill, downhill and on uneven surfaces, and be able to walk stairs on a daily basis without assistance. Though portable wheel chairs and travel scooters can be collapsed and stored on the bus, we cannot guarantee that all hotels and gaming lodges are accessible. If you have a manual chair or a scooter, you must be traveling with someone who can assist you. If you do have limited mobility, you are required to travel with someone who can assist you. that due to a small number of spaces, we will not be offering single occupancy or supplement at this time. If you are single and have a friend to share a room with, you will be asked to reserve your room together at the time of booking. We will be offering an optional one-night pre-night hotel for those who wish to come in a day early and rest before the big adventure. A one-night pre-package with an airport meet and greet transfer with breakfast included will be available 11 months prior to trip. There will also be a three-night post-package to Victoria Falls and will be available 11 months prior to the trip. Please note, if you book a pre-hotel night on your own, and not through Olivia directly, the airport transfer is not included and the on-site concierge desk is not available until the program start date of May 11, 2020. Rates: Prices are per person in USD. Rates do not include airfare, entry and departure taxes, travel insurance, surcharge or NDA, which is $499 per person (subject to change). Early bird prices valid until January 22, 2020.